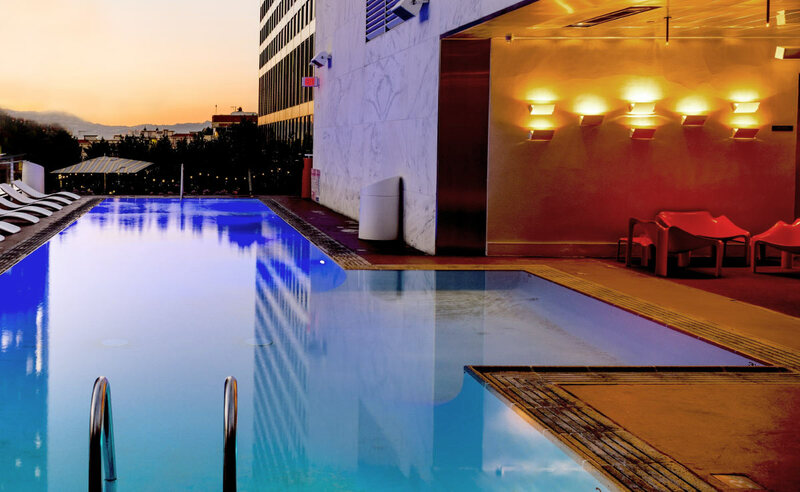 6 Important Questions About Pool Draining That We Answered for You - Pool Daddy Pool Service, Maintenance, and Repair in Phoenix and Scottsdale, AZ. How frequently do I need Pool Draining Service in Arizona? Arizona has a desert climate, so you have to drain your pool a little differently than others in other states. We recommend once in every 2-3 years. It is only recommended to drain the pool during the fall and winter months while the weather is cooler. This is also the most convenient time since you likely won’t be able to use your pool anyway with the colder weather. Is it okay to drain my Arizona swimming pool in the winter? Yes! The best time to drain your pool is during the fall and winter months. Why can’t I drain my Arizona pool in the summer? 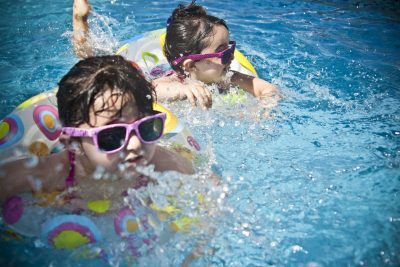 If you drain your pool during the hot, dry Arizona summer months, you risk causing expensive damage to your swimming pool . The floor of the pool can crack due to the heat and lack of moisture. Draining your Arizona pool in the summer is also bad for the desert environment where water is scarce. The pool water that is drained out will mostly evaporate instead of being used to water the lawn. Or other plants on the property. Why do I need to drain my pool? Arizona is a desert and most of the water that is used for the normal living has to travel a long way and go through a lot of treatment. The water is known for being some of the hardest in the country, and you will see evidence of the build-up beginning on your decorative pool tile. Your pool needs to be drained periodically in order to get rid of the calcium and hard water build up on your pool. Does my Arizona pool need to be drained to be cleaned properly? In some cases, your pool will need to be drained completely in order to clean it out of any build up and allow you to start with a clean base chemically. Draining your pool is the perfect opportunity to do any necessary repairs, complete a full-service cleaning or acid wash, and get your tile cleaned. It is recommended to do a chlorine wash or acid wash when draining your pool as a preventive maintenance item to keep your pool running at its peak efficiency. As well as making sure your pool is safe and chemically balanced. My pool turned green. Can it be fixed without draining? If your pool has turned green, it will take an aggressive combination of filtering, cleaning, and chemicals to get it back to the beautiful blue color you are used to. It is usually best to just drain the pool out completely and do a full chlorine wash to blast away any of the algae and bacteria that has accumulated. All of the pool filters will need to be professionally cleaned as well to make sure that the pool doesn’t turn green again. 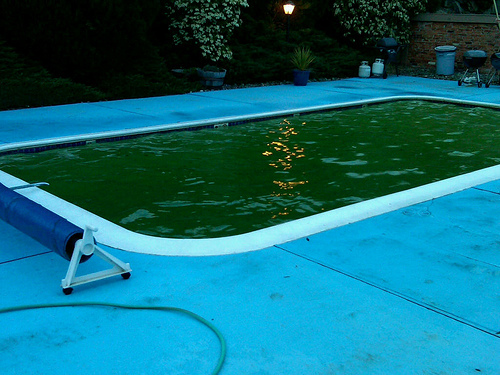 Green pools are dangerous breeding grounds for mosquitoes that can transmit the deadly West Nile virus. Having a green pool in Arizona can lead to fines because of the health risk that they pose. 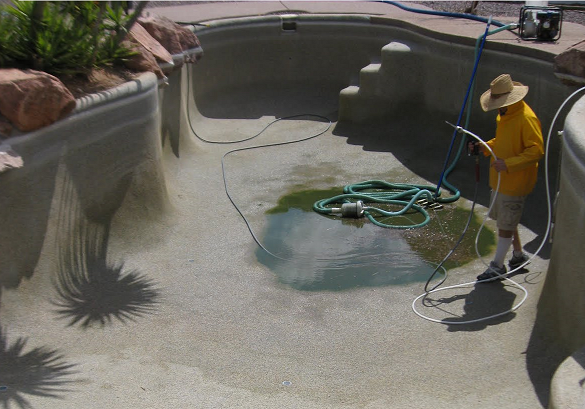 Make sure to get your green pool problem taken care of quickly and professionally to avoid any further complications. Do you drain pools all over Arizona? Pool Daddy currently services most of the Phoenix metro area. 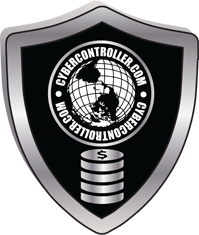 The areas included are Scottsdale, Paradise Valley, North Scottsdale, South Scottsdale, Tempe, Phoenix, North Phoenix, Peoria, and Glendale. Learn about all of the different Arizona pool services we offer.